And The Beat Goes On! cont. I enjoy listening to this album because it’s totally not safe. Leela performs these songs from the heart and if you can feel it then feel it. It has that feel of a live session and it’s full of energy and what seem to be ad libs. This is real music and a decent musical tribute to some classical tunes rather than something packaged for quick consumption. I’m all good with it. 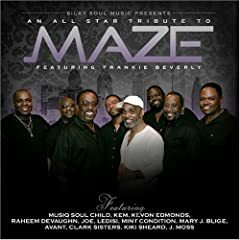 Speaking of tributes, if you don’t have it already you got to pick up, “An All Star Tribute To MAZE featuring Frankie Beverly.” This is one of my favorite CDs to thrown in on any occasion. All star is indeed correct as you have the likes of Musiq Soulchild, Kem, Joe, Mary J Blige and Raheem Devaughn. They hit many of the classic Maze cuts that only a dope can mess up. Musiq performs Silky Soul, the tribute to Marvin Gaye. In it he does what Musiq does, keeps it simple yet adds his distinct sound to it. And while I’m generally not a big Mary J. Blige fan, her version of, “Before I Let Go,” is quite funky. My favorites are Joe’s version of, “Can’t Get Over You,” which he sounds so smooth with it, it’s as if it could have been his own song, and Raheem Devaughn’s, “We Are One.” Devaughn has so much talent and his voice is so silky suave. He is really comfortable doing the song it compliments Frankie’s while again able to stand on it’s own. In a happy twist on the last song of the CD, “I Wanna Thank You, is performed by J Moss, The Clark Sisters and Kiki Sheard. They sort of church it up without making it churchee if you know what I mean. I don’t think there is a group of sisters who have been able to harmonize quite as beautifully as the Clark Sisters. “They seem to really enjoy doing this piece. Anyone who loves good soul music and care for these artist will enjoy this piece of work. If I was a disappointed with anything here it’s Mint Condition’s “Back In Stride.” If they were on American Karaoke Idol I would say, “Perhaps you picked the wrong song.” Compared to the other cuts, it’s just really ordinary. By no means is this a deal breaker. Pick up this CD. It’s great! A fitting celebration it is as they not only hit on the theme for Shaft, but they hit cuts like, “Cafe’ Regio,” which just took me all the way back. (Such a wonderful melody). There are others too but I just have to hurry up and say that Phil Perry put his foot in, “By The Time I Get To Phoenix!” I’m just sayin. Pick this one up! Norman Connors, Star Power, is stocked full of other cover tunes. And Connors brings a lot of energy, imagination and creativity to sign these hits. The Sweetest Taboo, Rock With You, and Walk On By just to name a few makes for a CD you can ride to, chill to at work if you sit at a desk like me, or even clean the house with. 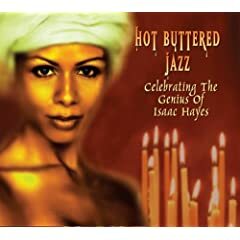 This CD is contains enjoyable pieces of music that people who enjoy rhythm and melodies will love. Norman has a great ear for instruments and how to bring a fresh flavor with them. Want to hear a really cool and uplifting piece of music? 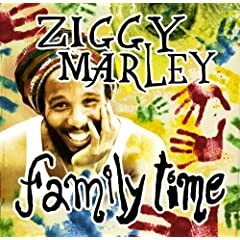 Pick up Ziggy Marley’s, “Family Time.” This is a set of simple songs that just make you feel good. Ziggy has a who’s who of musical legends sharing the mike with him on a few of these numbers. Willie Nelson on “This Train,” Paul Simon on, “Walk Tall,” and even Jamie Lee Curtis help with a reading on, “My Helping Hands.” Also along for the ride are Marley family members who participate on songs, “Family Time,” and my favorite, “I Love You Too.” What you will get here is a series of songs that put gives one the simplest forms of music in a way that always manages to get through to the musical soul. None of the pieces are complicated but the simplicity is overwhelmingly satisfying. I love it! Ziggie rocks! 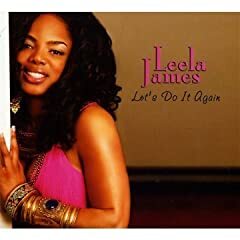 This entry was posted in Music and tagged Family Time, Hot Buttered Jazz, Leela James, Let' s Do It Again, Norman Connors, Raheem DeVaughn, Smooth Jazz, Star Power, Tribute to Maze featuring Frankie Beverly, Ziggy Marley. I might try 1 and 3, I heard Joe’s version of Maze and it was good, but I just don’t like nobody steppin’ on my Frankie Beverly. I have those Maze songs memorized riff by riff. If he grunts, I grunt. It’s a patented sound. I’m all for the tribute, but just give them an award or something. Leave the music alone. JMO. I am the same way. You know how hard I am on music and musicians. In my view they tried to give the legends their due. And I think the tribute was proper – it’s still grown folks music and no one tried to make it new or anything like that. It’s a very respectable piece of work in my view. When I got the CD I didn’t have an opinioin going in – just wanted to wait and see. I think if you listen to it a few times you will definitely be on board for most of the jams here.